Our turn-key installation team will build your new yard from the ground up. 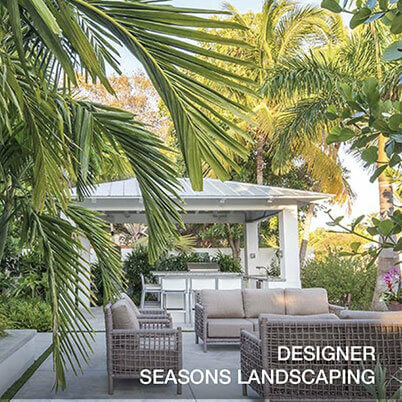 With over 50 years combined experience, you won’t need to lift a finger to have the stunning garden oasis you’ve always dreamed about. 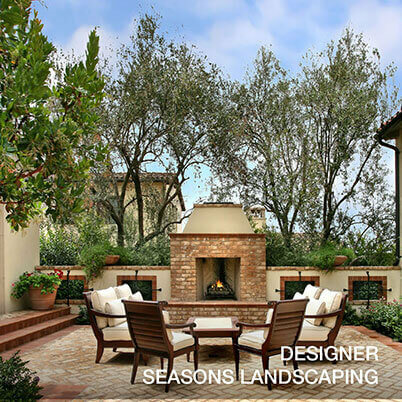 Let Our Expert Team Hand Craft Your Dream Yard! Welcome to ShrubHub! 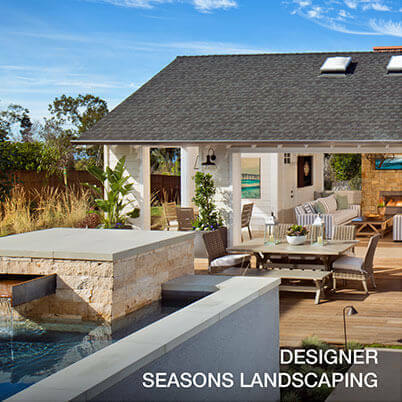 The ShrubHub Platform is an information and social network dedicated to homebuilding, renovation, and design. 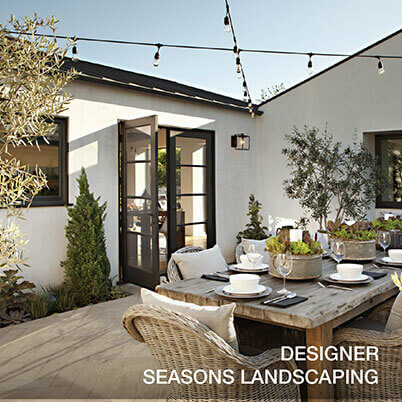 ShrubHub brings together professionals, service providers, products, homeowners, renters and design enthusiasts. 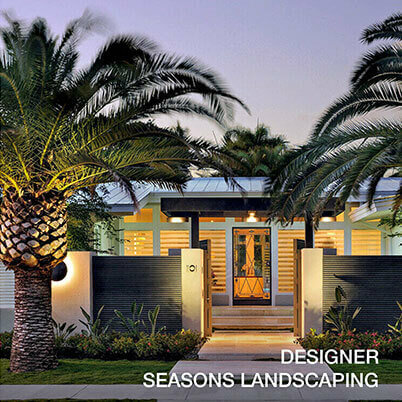 Through the ShrubHub Platform, people can obtain and exchange, ideas, information, products, and services related to landscape renovation and design. This agreement provides important information to you, including information about your obligations content, our limitation of liability to you, and your agreement to resolve any disputes by individual arbitration and to waive the right to participate in a class action. Please make sure to read this agreement, because your use of the Site consent to these terms. If you do not agree to any of the terms, you should stop using the Platform. 1. Using the ShrubHub Platform. Who can use it. You must be at least the age of majority in the state where you live to use the Site. Use of the ShrubHub Platform by anyone under 13 years of age is strictly prohibited! Termination. You may close your account at any time by going to account settings and disabling your account. We may permanently or temporarily suspend your use of the ite or the service at any time for any reason, without any notice or liability to you. We may terminate your account at any time for any or no reason, including if you violate ShrubHub policy Upon termination of your use of the , certain provisions will survive termination, as detailed in Section 9(m). Feedback. We welcome your feedback and suggestions about how to improve the ShrubHub Platform. Feel free to submit feedback at clientsupport@shrubhub.com. By submitting feedback in this or in any other manner to us, you agree to grant us the right, at our discretion, to use, disclose and otherwise exploit the feedback, in whole or part, without any restriction or compensation to you. Definition of Your Content. The ShrubHub Platform enables you to post material, including without limitation photos, profile pictures, messages, and commentary. You may also post reviews of third-party service providers, third-party products, or third-party services (“Reviews”). All material that you display on the ShrubHub Platform will be referred to collectively as “Your Content.” You acknowledge and agree that, as part of using the ShrubHub Platform, Your Content may be viewed by the general public and will not be treated as private or confidential. Ownership. We acknowledge and agree that you, or your licensors, as applicable, retain ownership of any and all copyrights in Your Content, subject to the non-exclusive rights granted to us in the paragraph above, and that no ownership of such copyrights is transferred to us under this agreement. Your Responsibilities for Your Content. By posting Your Content on the ShrubHub Platform, you represent and warrant to us that you have the ownership rights, or you have obtained all needed licenses or permissions from any necessary parties, to use Your Content in this manner. This includes the right to grant us the rights to the use of Your Content in accordance with this agreement. You are in the best position to judge whether Your Content is in violation of intellectual property or personal rights of any third-party. You accept full responsibility for infringement of the intellectual property or personal rights of others in connection with Your Content. You are responsible for ensuring that your content does not violate ShrubHub’s policies. Limits. We reserve the right to edit, abridge, or remove Your Content, in whole or part, for any reason We reserve the right to edit, refuse to post or remove Your Content submitted by you for any reason without notice. We do not guarantee that we will publish all of Your Content. If you seek to publish a Review, the requirements will be governed by our Review Policy. Definition of Our Content and Materials. All intellectual property in or related to the ShrubHub Platform (specifically including, but not limited to our software, the ShrubHub marks, the ShrubHub logo, and ShrubHub buttons, badges, and widgets, but excluding Your Content), is the property of ShrubHub LLC, its subsidiaries and affiliates or its licensors (“Our Content and Materials”). Our License to You. Subject to these erms of se, including the restrictions below, we grant you a limited, non-exclusive license to use and access Our Content and Materials in connection with your use of the ShrubHub Platform. Except as expressly agreed to otherwise by us (such as your eligibility for creation of a Professional Profile or your entering into a vendor, seller, advertiser, Site Designer, or other agreement with us), your use of the ShrubHub Platform must be limited to personal, non-commercial use. We may terminate this license at any time for any reason. Except for the rights and license granted in these erms, we reserve all other rights and grant no other rights or licenses, implied or otherwise. No Endorsement or Verification. Please note that the ShrubHub Platform enables access to third-party content, products and services, and it offers interactions with third-parties over which we have no control. We assume no responsibility for, nor do we endorse or verify the content, offerings or conduct of third-parties (including but not limited to the products or services offered by third-parties or the descriptions of the products or services offered by third-parties). Participation or availability on the ShrubHub Platform does not amount to endorsement or verification by us. We make no warranties or representations with respect to the accuracy, completeness or timeliness of any content posted on the ShrubHub Platform by anyone. Restrictions. Except as expressly provided in these erms, you agree not to use, modify, reproduce, distribute, sell, license, reverse engineer, decompile, or otherwise exploit Our Content and Materials without our express written permission. ShrubHub’s permission to you for your use of the ShrubHub Platform expressly excludes commercial use by you of any information concerning product descriptions or professional listings for the benefit of another merchant. You expressly are prohibited from any use of data mining, robots, or similar data gathering and extraction tools in your use of the ShrubHub Platform. You may view and print a reasonable number of copies of web pages located on the ShrubHub Platform for your own personal use, provided that you retain all proprietary notices contained in the original materials, including attribution to ShrubHub. Ownership. You acknowledge and agree that the ShrubHub Platform and ShrubHub marks will remain the property of ShrubHub. The content, information and services made available on the ShrubHub Platform are protected by U.S. and international copyright, trademark, and other laws, and you acknowledge that these rights are valid and enforceable. You acknowledge that you do not acquire any ownership rights by using the ShrubHub Platform. 4. Other Offerings on the ShrubHub Platform. Purchase of Goods through ShrubHub Shopping Cart. 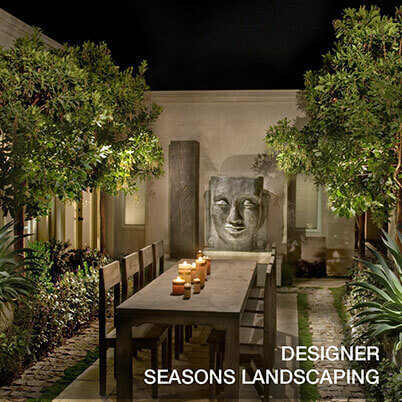 ShrubHub and third-party sellers offer garden goods, furniture, and other products for sale on the ShrubHub Platform. If you purchase products on the ShrubHub Platform, your purchase is subject to the ShrubHub Shop Terms of Sale. The availability of products sold by third-parties within ShrubHub does not imply our endorsement or verification of the products or their descriptions. Third-Party Services. You may be provided the opportunity on the ShrubHub Platform to purchase services that are offered by third parties (collectively “Third Party Services”), including those offered by professionals registered with Professional Profiles on the ShrubHub Platform. The availability of any Third Party Services on the ShrubHub Platform does not imply our endorsement of the Third Party Services. We have a special process for reporting violations of your intellectual property rights or other violations of policies or applicable laws. PLEASE READ THIS SECTION CAREFULLY SINCE IT LIMITS THE LIABILITY OF SHRUBHUB ENTITIES TO YOU. WE ARE PROVIDING YOU THE SITE, SERVICES, INFORMATION, PRODUCTS, PRODUCT DESCRIPTIONS, AND THIRD-PARTY CONTENT ON AN “AS IS” AND “AS AVAILABLE” BASIS, WITHOUT WARRANTY OF ANY KIND, EXPRESS OR IMPLIED. WITHOUT LIMITING THE FOREGOING, THE ENTITIES EXPRESSLY DISCLAIM ANY AND ALL WARRANTIES AND CONDITIONS OF MERCHANTABILITY, TITLE, ACCURACY AND COMPLETENESS, UNINTERRUPTED OR ERROR-FREE SERVICE, FITNESS FOR A PARTICULAR PURPOSE, QUIET ENJOYMENT, AND NON-INFRINGEMENT, AND ANY WARRANTIES ARISING OUT OF COURSE OF DEALING OR TRADE USAGE. THE SHRUBHUB ENTITIES MAKE NO PROMISES WITH RESPECT TO, AND EXPRESSLY DISCLAIM ALL LIABILITY, TO THE MAXIMUM EXTENT PERMITTED BY LAW, FOR: (i) CONTENT POSTED BY ANY THIRD-PARTY ON THE SITE, (ii) THE PRODUCT DESCRIPTIONS OR PRODUCTS, (iii) THIRD-PARTY SITES AND ANY THIRD-PARTY PRODUCT OR SERVICE LISTED ON OR ACCESSIBLE TO YOU THROUGH THE SITE, AND (iv) THE QUALITY OR CONDUCT OF ANY THIRD-PARTY YOU ENCOUNTER IN CONNECTION WITH YOUR USE OF THE SITE. YOU AGREE THAT UNDER THE MAXIMUM EXTENT PERMITTED BY LAW, THE SHRUBHUB ENTITIES WILL NOT BE LIABLE TO YOU UNDER ANY THEORY OF LIABILITY. WITHOUT LIMITING THE FOREGOING, YOU AGREE THAT THE SHRUBHUB ENTITIES SPECIFICALLY WILL NOT BE LIABLE FOR ANY INDIRECT, INCIDENTAL, CONSEQUENTIAL, SPECIAL, OR EXEMPLARY DAMAGES, LOSS OF PROFITS, BUSINESS INTERRUPTION, REPUTATIONAL HARM, OR LOSS OF DATA (EVEN IF THE SHRUBHUB ENTITIES HAVE BEEN ADVISED OF THE POSSIBILITY OF SUCH DAMAGES OR SUCH DAMAGES ARE FORESEEABLE) ARISING OUT OF AND IN ANY WAY CONNECTED WITH YOUR USE OF, OR INABILITY TO USE, THE SITE OR PRODUCTS. YOUR USE OF THE SITE, PRODUCTS, INFORMATION, OR SERVICES IS AT YOUR SOLE RISK. You agree to fully indemnify, defend, and hold the ShrubHub Entities and their directors, officers, employees, consultants, and other representatives, harmless from and against any and all claims, damages, losses, costs (including reasonable attorneys’ fees), and other expenses that arise directly or indirectly out of or from: (a) your breach of any part of , (b) any allegation that materials you submit to us or transmit to the ShrubHub Platform infringe or otherwise violate the copyright, patent, trademark, trade secret, or other intellectual property or other rights of any third party; (c) your activities in connection with the ShrubHub Platform or other websites to which the ShrubHub Platform is linked; and/or (d) your negligent or willful misconduct. Arbitration. You and ShrubHub agree that any dispute, claim or controversy arising out of or relating to or to your use of the ShrubHub Platform (collectively “Disputes”) will be settled by binding arbitration, except that each party retains the right to seek injunctive or other equitable relief in a court of competent jurisdiction to prevent the actual or threatened infringement, misappropriation, or violation of a party’s copyrights, trademarks, trade secrets, patents, or other intellectual property rights. You acknowledge and agree that you and ShrubHub each are waiving the right to a trial by jury or to participate as a plaintiff as a class member in any class action proceeding. Further, unless you and ShrubHub agree otherwise in writing, the arbitrator may not consolidate more than one person’s claims and may not preside over any form class action proceeding. If this specific paragraph is held unenforceable, then the entirety of this “Dispute Resolution” Section 8 will be deemed void. Except as provided in the preceding sentence, this “Dispute Resolution” Section 8 will survive any termination of the Terms. Arbitration Rules and Governing Law. The arbitration will be administered by the American Arbitration Association (“AAA”) in accordance with the Commercial Arbitration Rules and the Supplementary Procedures for Consumer Related Disputes (the “AAA Rules”) then in effect, except as modified by this “Dispute Resolution’ section. (The AAA Rules are available at http://www.adr.org or by calling the AAA at 1-800-778-7879). The Federal Arbitration act will govern the interpretation of this ection. Arbitration Process. A party who desires to initiate the arbitration must provide the other party with a written Demand for Arbitration as specified in the AAA Rules. The arbitrator will be either a retired judge or an attorney licensed to practice law in the state of California and will be selected by the parties from the AAA’s roster of consumer dispute arbitrators. If the parties are unable to agree upon an arbitrator within 7 days of delivery of the Demand for Arbitration, then the AAA will appoint the arbitrator in accordance with AAA Rules. Arbitration Location and Procedure. Unless you and ShrubHub agree otherwise, the arbitration will be conducted in Santa Ana, California. If your claim does not exceed $10,000, then the arbitration will be conducted solely on the basis of documents you and ShrubHub submit to the arbitrator, unless you request a hearing and the arbitrator then determines that a hearing is necessary. If your claim exceeds $10,000, your right to a hearing will be determined by AAA Rules. Subject to AAA Rules, the arbitrator will have the discretion to direct a reasonable exchange of information by the parties, consistent with the expedited nature of the arbitration. For claims that exceed $10,000 and involve a hearing, you may elect for the hearing be conducted by telephone. Arbitrator’s Decision. The arbitrator will render an award within the timeframe specified in the AAA Rules. The arbitrator’s decision will include the essential findings and conclusions upon which the arbitrator based the award. Judgment on the arbitration may be entered in any court having jurisdiction thereof. Any award of damages by an arbitrator must be consistent with the “Disclaimers and Limitations of Liability” section above. The arbitrator may award declaratory or injunctive relief in favor of the claimant only to the extent necessary to provide relief warranted by the claimant’s individual claim. Fees. Your responsibility to pay any AAA filing, administrative and arbitrator fees will be as set forth in the AAA Rules. Notice for California Users. Under California Civil Code Section 1789.3, California users of the ShrubHub Platform are entitled to the following specific consumer rights notice: The services are provided by ShrubHub LLC., 2885 Rounsevel Terrace Laguna Beach, CA 92651. If you have a question or complaint regarding the Service, please contact ShrubHub at legal@shrubhub.com or by writing to our mailing address. California residents may reach the Complaint Assistance Unit of the Division of Consumer Services of the California Department of Consumer Affairs which may be contacted in writing at 1625 N. Market Blvd., Suite S-202, Sacramento, California 95834, or by telephone at (916) 445-1254 or (800) 952-5210 or Hearing Impaired at TDD (800) 326-2297 or TDD (916) 322-1700. Application Provider Terms. If you access the ShrubHub Platform through a ShrubHub application, you acknowledge that this agreement is between you and ShrubHub only, and not with another application service or application platform provider (such as Apple, Inc. or Google Inc.), which may provide you the application subject to its own terms. Controlling Law and Jurisdiction. This agreement will be interpreted in accordance with the laws of the State of California and the United States of America, without regard to their conflict-of-law provisions. You and we agree to submit to the personal jurisdiction of a federal or state court located in Santa Ana, California for any actions for which the arbitration provision, as set forth in the Dispute Resolution provision above, does not apply. Export. The ShrubHub Platform is controlled and operated from our United States offices in California. ShrubHub software is further subject to United States export controls. No software for ShrubHub may be downloaded or otherwise exported or re-exported in violation of any applicable laws or regulations. You represent that you are not (1) located in a country that is subject to a U.S. government embargo, or that has been designated by the U.S. government as a “terrorist supporting” country, and (2) listed on any U.S. government list of prohibited or restricted parties. iii. deny or terminate your ShrubHub account, or use of and access to the ShrubHub Platform. Any changes we make to the will be effective immediately upon our making such changes available on the ShrubHub Platform, and posting notice of such changes on the ShrubHub Platform or in another manner in our reasonable discretion. You agree that your continued use of the ShrubHub Platform after such changes constitutes your acceptance of such changes. If you do not agree with any of the updates to this , you should not use the ShrubHub Platform. Be sure to return to this page periodically to ensure your familiarity with the most current version of the erms of se. Assignment. No terms of this , nor any right, obligation, or remedy hereunder is assignable, transferable, delegable, or sublicensable by you except with ShrubHub’s prior written consent, and any attempted assignment, transfer, delegation, or sublicense shall be null and void. may assign, transfer, or delegate this agreement or any right or obligation or remedy hereunder in its sole discretion. Waiver. Our failure to assert a right or provision under this will not constitute a waiver of such right or provision. Entire Agreement/ Severability. This supersedes all prior terms, agreements, discussions and writings regarding the ShrubHub Platform and constitutes the entire agreement between you and us regarding the ShrubHub Platform. If any provision in this is found to be unenforceable, then (except as expressly provided otherwise in Section 8(a) (Dispute Process)) that provision will not affect the enforceability of the remaining provisions of the , which will remain in full force and effect. Survival: The following provisions will survive expiration or termination of this agreement: Section 2 (Your Content) Section 3(d)(Restrictions) and 3(e)(ownership), Section 6 (Disclaimers and Limitations of Liability), Section 7 (Indemnification), Section 8 (Dispute Resolution) and Section 9 (Miscellaneous). You may be provided the opportunity on the ShrubHub Platform to purchase products that are offered, sold or manufactured by ShrubHub or third parties (collectively “Products”). Such Products may be available for purchase directly from third-party sellers (“Sellers”) or from ShrubHub. No Endorsement or Verification. The availability of any Products on the ShrubHub Platform does not imply our endorsement of the Products. We do not represent, warrant or guarantee that the Product descriptions are accurate, complete, reliable, current, or error-free. Depictions of Products in features such as Garden Themes are for reference only and may not always accurately depict every aspect or plant / product name in that theme. Product Reviews. Product listings may contain ratings and reviews obtained from third parties. Product reviews posted by ShrubHub users are solely the opinions of the posters. None of the Product reviews contain or reflect any opinions or views of ShrubHub. Ratings given in connection with purchases verified by ShrubHub may be given greater weight than ratings not verified by ShrubHub. Order Acceptance and Cancellation Right. The receipt of an order number or an email order confirmation does not constitute acceptance of an order or a confirmation of an offer to sell. We reserve the right to limit the order quantity on any item and/or to refuse service to any customer for any reason. Verification of information may be required prior to the acceptance of an order. Prices and availability of Products on the ShrubHub Platform are subject to change. Errors will be corrected when discovered, and we reserve the right to revoke any stated offer and to correct any error, inaccuracy, or omission. We reserve the right, at our sole discretion, to refuse or cancel any order for any reason. Products Sold by Third Parties. Pricing. Prices for Products sold by Sellers are set by the Seller. Payments. ShrubHub acts as a payments processor on behalf of the Seller and does not act as your agent with respect to any payments for Products submitted via the ShrubHub Platform. Risk of Loss. For Products purchased from Sellers, the risk of loss and title for purchased Products pass from the Seller to buyer upon delivery. ShrubHub does not transfer legal ownership of any Products from Seller to you. Returns and Refunds. Products sold by Sellers are eligible for returns and refunds if and as indicated by the terms on the Product listing. Third-Party Warranty Information. For Products sold by Sellers, warranty information is listed under the seller and shipping information for that Product. The obligation to satisfy any indicated warranty for a Product is between you and the Seller or the manufacturer or supplier, and not with ShrubHub. Risk of Loss. For Products purchased from ShrubHub Shop, the risk of loss and title for purchased Products pass to you upon delivery to the shipping carrier. Returns, Refunds and Title. Returns of Products sold by ShrubHub are subject to our returns policy unless marked as non-returnable. ShrubHub does not take title to returned items until the item arrives at our fulfillment center. At our discretion, a refund may be issued without requiring a return. In this situation, ShrubHub does not take title to the refunded item. Customer Service Limitations. While we may help facilitate the resolution of disputes through our customer service team or various programs, ShrubHub has no control over and does not guarantee the existence, quality, safety or legality of items advertised, the truth or accuracy of Product listings, or that a seller, manufacturer or supplier will satisfactorily honor the warranty offered by that party for a specific Product. Neither ShrubHub nor any Seller will be responsible for any damage caused by installation or attempted installation of any Product by you or any third-party. Non-Identifiable Data: When you interact with ShrubHub through the Services, we receive and store certain personally non-identifiable information. Such information, which is collected passively using various technologies, cannot presently be used to specifically identify you. ShrubHub may store such information itself or such information may be included in databases owned and maintained by ShrubHub affiliates, agents or service providers. The Services may use such information and pool it with other information to track, for example, the total number of visitors to our Website, the number of visitors to each page of our Website, and the domain names of our visitors’ Internet service providers. It is important to note that no Personal Data is available or used in this process. Aggregated Personal Data: In an ongoing effort to better understand and serve the users of the Services, ShrubHub often conducts research on its customer demographics, interests and behavior based on the Personal Data and other information provided to us. This research may be compiled and analyzed on an aggregate basis, and ShrubHub may share this aggregate data with its affiliates, agents and business partners. This aggregate information does not identify you personally. ShrubHub may also disclose aggregated user statistics in order to describe our services to current and prospective business partners, and to other third parties for other lawful purposes. Location Information: Our Services may collect and use your location information (for example, by using the GPS on your mobile device) to provide certain functionality of our Services. If you choose to enable our location features, your location information may be publicly displayed within the Services. Please keep in mind that other users can see this information about you, and they may use it or disclose it to other individuals or entities outside of our control and without your knowledge. Your location information may be subject to abuse, misuse, and monitoring by others, so please be careful if you choose to enable location functionality. We may also use your location information in an aggregate way, as described above in the “Aggregated Personal Data” section. Agents, Consultants and Related Third Parties: ShrubHub, like many businesses, sometimes hires other companies to perform certain business-related functions. Examples of such functions include mailing information, maintaining databases and processing payments. When we employ another entity to perform a function of this nature, we only provide them with the information that they need to perform their specific function. Legal Requirements: ShrubHub may disclose your Personal Data if required to do so by law or in the good faith belief that such action is necessary to (i) comply with a legal obligation, (ii) protect and defend the rights or property of ShrubHub, (iii) act in urgent circumstances to protect the personal safety of users of the Services or the public, or (iv) protect against legal liability. You can visit the Website without providing any Personal Data. If you choose not to provide any Personal Data, you may not be able to use certain Services. ShrubHub takes reasonable steps to protect the Personal Data provided via the Services from loss, misuse, and unauthorized access, disclosure, alteration, or destruction. However, no Internet or email transmission is ever fully secure or error free. In particular, email sent to or from the Services may not be secure. Therefore, you should take special care in deciding what information you send to us via email. Please keep this in mind when disclosing any Personal Data to ShrubHub via the Internet. Your access to and use of the Services is subject to the Terms of Service at http://www.shrubhub.com/terms-of-service. a. Authorized Person. You are a principal or employee authorized to create a Professional Profile for the Pro. e. Affiliations. ShrubHub may enable you to display your affiliation with certain trade associations relevant to your business. You agree that you will only choose those organizations with which you are actually affiliated for display on your Professional Profile, and promptly remove any affiliations if no longer current. You agree that in certain circumstances ShrubHub may display your affiliation with certain trade association partners on your Professional Profile on your behalf, e.g. upon verification of membership by the trade association. g. Reviews. Customers may review your business on your Professional Profile. You understand and agree that while all Reviews must follow our Review Policy, ShrubHub does not remove negative Reviews that do not violate our Review Policy, regardless of whether a Pro is a paying customer or not. ShrubHub may provide a means for you to request reviews from current and past customers, in which case ShrubHub will only use customer contact information for the purpose of sending the request. h. Removal. If you remove or deactivate your Professional Profile, subject to applicable law any postings, reviews, photos, or comments you upload prior to deactivation may remain published on the Site after removal or deactivation. 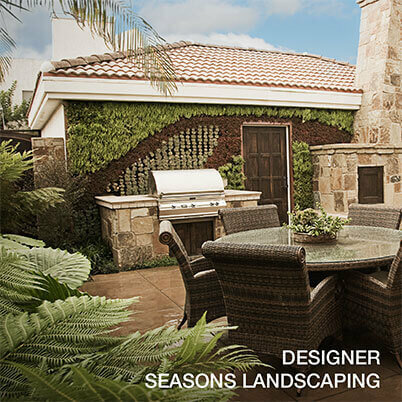 What exterior part of your home are you interested in designing ? Why do you want to re-design your home? Which best describes your living situation ? 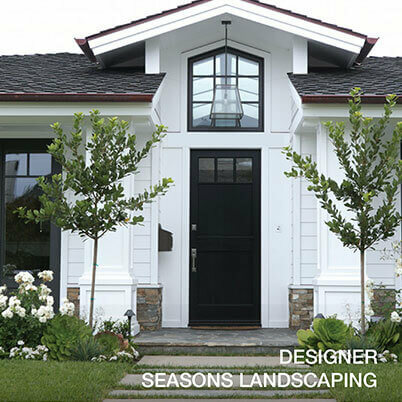 What is the budget for the exterior of your home ? What is your timing for this project? Do you like real grass or synthetic ? What color of plants do you like? What types of trees do you like ? What type of plants do you like ? What design elements are you interested in? Why do you want to redesign your home? What best describes your living situation? What cities do you currently work in?